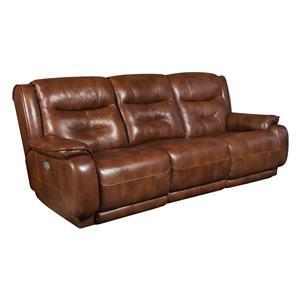 This reclining sofa will work well in your casual living room or family room arrangement. 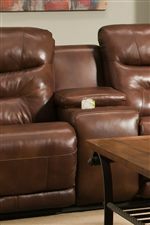 It features a distinctive style that incorporates track arms with pillow padding and includes power headrests. Made in America by a well known reclining furniture manufacturer, this sofa is sure to keep you and your family comfortable. 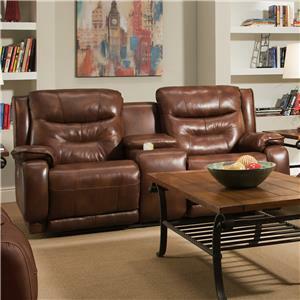 The Fairmont Double Reclining Sofa with Power Headrest by Belfort Motion at Belfort Furniture in the Washington DC, Northern Virginia, Maryland and Fairfax VA area. Product availability may vary. Contact us for the most current availability on this product. Fabric Options Available in a large assortment of upholstery options through special order methods. Visit us at one of our retail locations or contact us for more information. 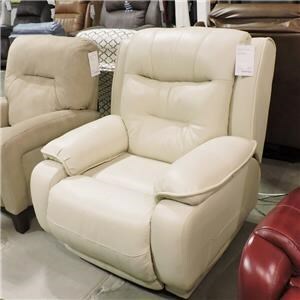 The Fairmont collection is a great option if you are looking for Casual furniture in the Washington DC, Northern Virginia, Maryland and Fairfax VA area.